In this article, Richmond Decorating – with convenient locations in Richmond, Glen Allen, and Newport News, Virginia (VA) – is here to share why luxury plank vinyl flooring is perfect for homes. 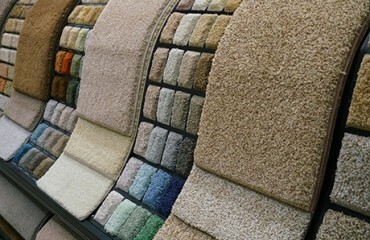 We proudly offer tons of beautiful flooring and window treatment options to help you create the home of your dreams. 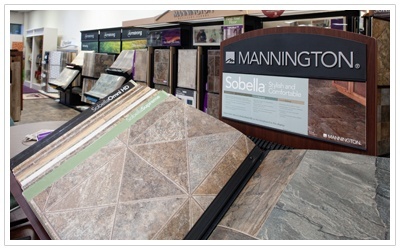 Choosing the right flooring for your home remodel can be a highly involved process due to all the options available. This effort is worth the time and energy though, since replacing your flooring is such a massive undertaking. While having natural hardwood or stone tiles are popular choices for a luxury look and feel to your home, they tend to be difficult to maintain and often don’t last. Vinyl floor options are excellent options for people who want a premium look to their floors that will last them a long time. There are different luxury vinyl plank flooring options available that offer refined style to your home while also bringing long-term durability. At Richmond Decorating, we can help you see why luxury plank vinyl flooring is perfect for homes in Richmond, VA.
As opposed to expensive and raw natural materials, luxury vinyl plank flooring will offer some give when you step onto it, without feeling too artificial and flimsy. This balance makes luxury vinyl plank flooring a great option for everyday comfort when walking around in your home, and is especially kind to your knees. Luxury vinyl plank flooring also offers enhanced durability against getting scratched, chipped, or from tearing while also resisting the effects of hot or humid environments. Luxury vinyl plank flooring also offers a realistic look that successfully re-creates the appearance of much more expensive materials such as marble or different types of wood. Another added benefit specific to luxury vinyl plank flooring, as opposed to vinyl sheet flooring, is that it is easy to install on your own without having to call a professional. Synthetic sheet flooring is much more difficult and will require a hired contractor to install for you. Armstrong offers a simple line of luxury vinyl plank flooring that is available in three tiers of quality: good, better, and best. While each tier of quality offers great options of traditional wood looks, such as oak, walnut, and maple, the Best tier offers some exotic wood designs. The vinyl planks measure at a 4 mm thickness for a comfortable feel in any part of your home. Armstrong adheres the flooring to your home with their proprietary installation called FasTak. Not only does this make for easy installation that you can do on your own, it allows the planks to be repositioned with ease. Mannington divides their luxury vinyl plank flooring options into four options: Adura Flex, Rigid, Adura Max and Adura Max Apex. The Adura line offers everything from 4-inch by 36-inch to 8-inch by 72-inch dimensions for each plank. The thickness and installation method varies depending on the product selected and installation limitations. Selections come in standard wood replicas such as oak, maple, and teak as well as featuring darker wood replicas and more complex and realistic grains in on trend colors. At Richmond Decorating, we want to help your home remodel end with brilliant results which is why we offer luxury vinyl plank flooring by respected brands such as Mannington, Armstrong, and many more. We have locations in Richmond, Glen Allen, and Newport News, VA and offer services to Henrico, Manakin-Sabot, Midlothian, Mosley, and Chesterfield, VA. We hope to see you soon.